Presta shop has a new version recently as in 1.5.4.1. The method of setting up Vouchers has thus changed. Though Presta Shop still remains a great open source software for ecommerce websites. It is still very versatile and feature rich, the only thing being the new versions does things a bit differently compared to the older versions. You may still need to Hire Presta Shop developer to manage some of the finer things but this article is about the simple task of adding a Voucher. Prestashop Admin PanelIn order to add a new Voucher you must go to the admin panel and login. Then go to the admin menu Price Rules –> Cart Rules and hit the ‘Add new’ button on the top right corner. This will load a new form for adding a new Cart Rule which is effectively a new Voucher. 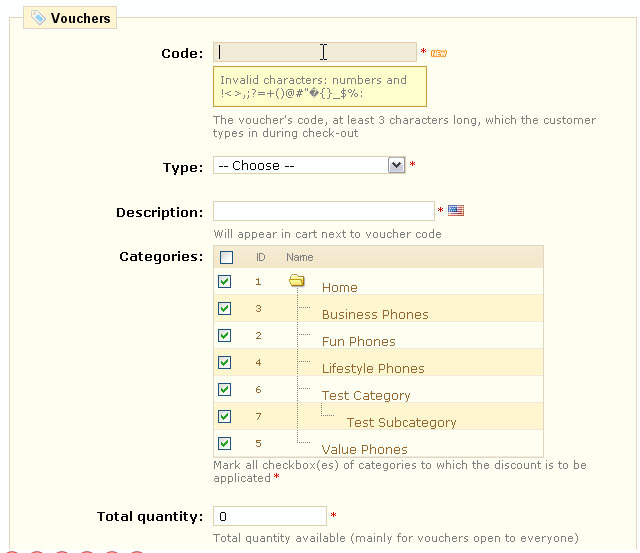 Here the first tab ( on the left sidebar) in the information tab that contains the name of the voucher and the code as well. 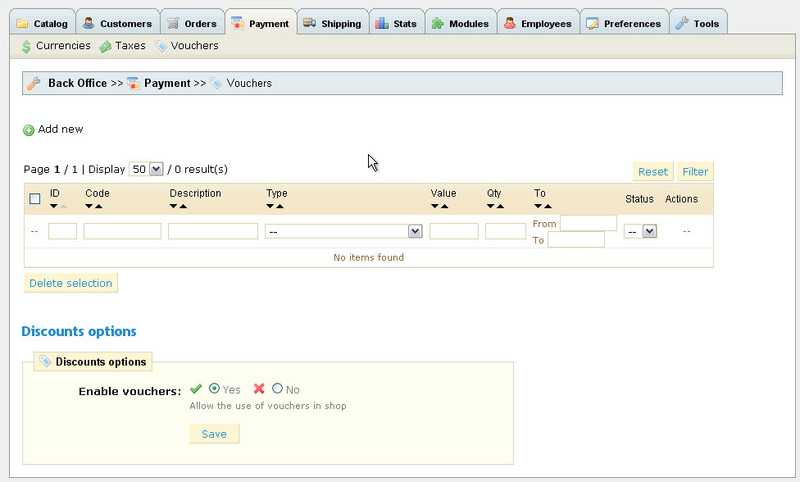 The next tab is the Conditions tab which contains all the conditions of the voucher like customer, validity, and amount, etc. The last tab is the action tab where the shipping, discount type and gift option are present. Prestashop Discount ModuleThat is it you are now setup to use the Voucher system in your very own e-commerce website.